I really enjoyed this episode of On Being with Krista Tippett. Nadia Bolz-Weber shares about her life and ministry at The House for All Sinners and Saints in Denver, CO. The conversation turned to Bolz-Weber’s tattoos, of which there are many. She has plans for a large tattoo of Mary Magdalene on her back. Mary Magdalene was the first evangelist and a reclaimed life. “This woman who was delivered from so much, who was broken and could do nothing but follow Jesus and provide for Jesus and care for Jesus…She was the one who was chosen to be the first witness of the resurrection. She was the one who was told to go and tell. I don’t know what other authority I need than that story to be a preacher. Throughout my life, I have strongly identified with certain Biblical characters. In college, I was really into Jacob. His wrestling match with God was the epitome of faith for me. Later, I felt a strong affinity to Elijah, the lone prophet, scared and angry at God. 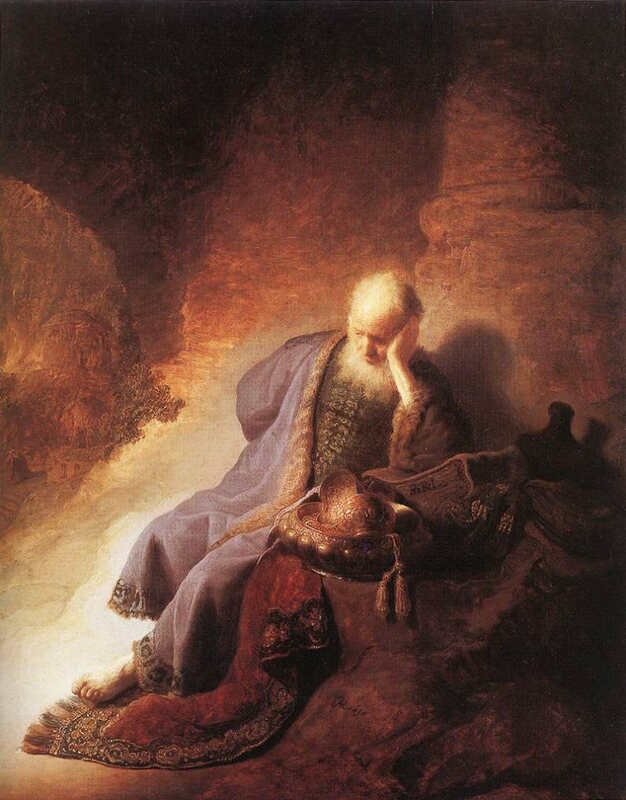 Elijah’s story was a necessary reminder to me that there were 7000 whose knees have not bowed to the gods of this age. Lately, I am drawn to Jeremiah. He is the prophet who goes into exile, taking the promise of God’s covenant with him. I’m not an exile, but I am a stranger in a strange land. Jeremiah also had instructions. “But seek the welfare of the city where I have sent you into exile, and pray to the Lord on its behalf, for in its welfare you will find your welfare.” We romanticize clergy self-sacrifice so that a pastor can’t look after his own good. But God tells Yahweh where to find his own welfare…in the welfare of the strange land.